On our way to Battersea Park, we walked around the grounds of the Royal Hospital in Chelsea. 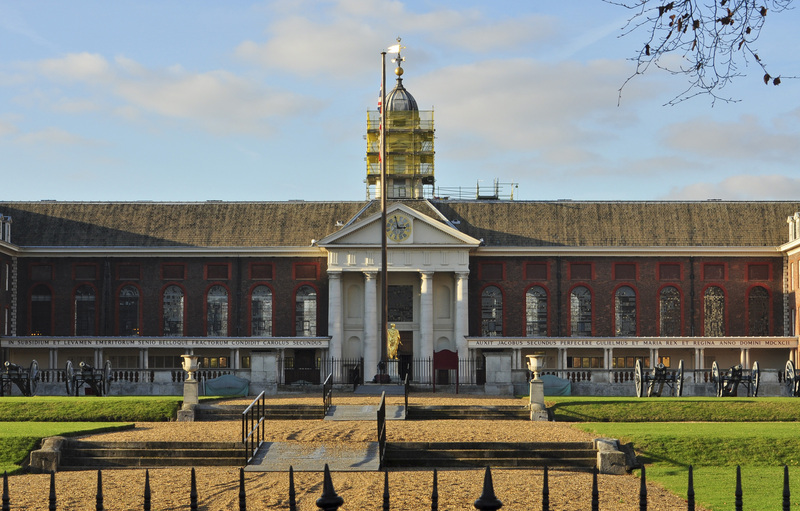 The Royal Hospital (completed in 1692) is a retirement home for soldiers no longer fit for service, known as Chelsea Pensioners. Over 300 Pensioners currently live here and are easily recognized in their distinctive uniforms of brilliant red coats and black hats (“The Men in Scarlet”). Visitors are welcome to tour the Hospital as well as the small museum. The grounds of the Royal Hospital play host to the famous Chelsea Flower Show each year. 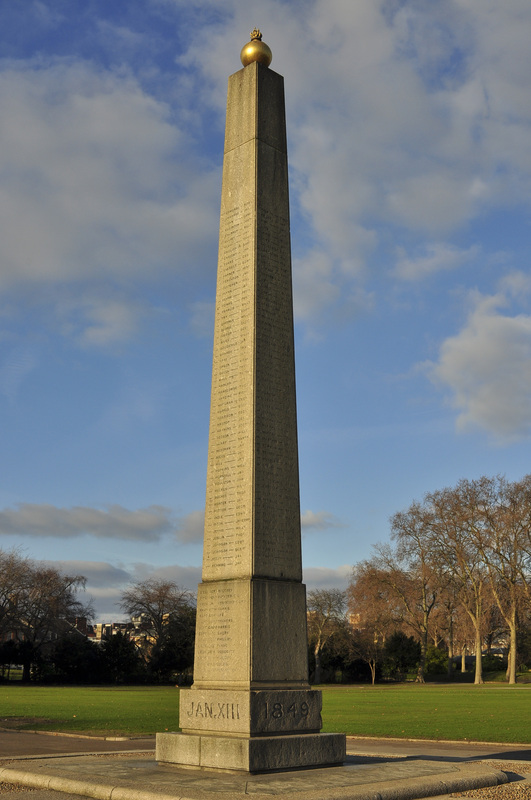 The obelisk, which honors those who lost their lives in the Battle of Chillianwala (1849), forms the centerpiece. This entry was posted in The Sights and tagged Royal Hospital Chelsea. Bookmark the permalink.